Buttery shortbread hearts are sandwiched with a sweet homemade raspberry jam filling. These classic Linzer cookies make a lovely holiday treat! It’s the last weekday before Valentine’s Day! Are you ready? Do you have all the cards written out and the little gifts bought? Or is there maybe someone lingering on your list that could use a thoughtful gesture? 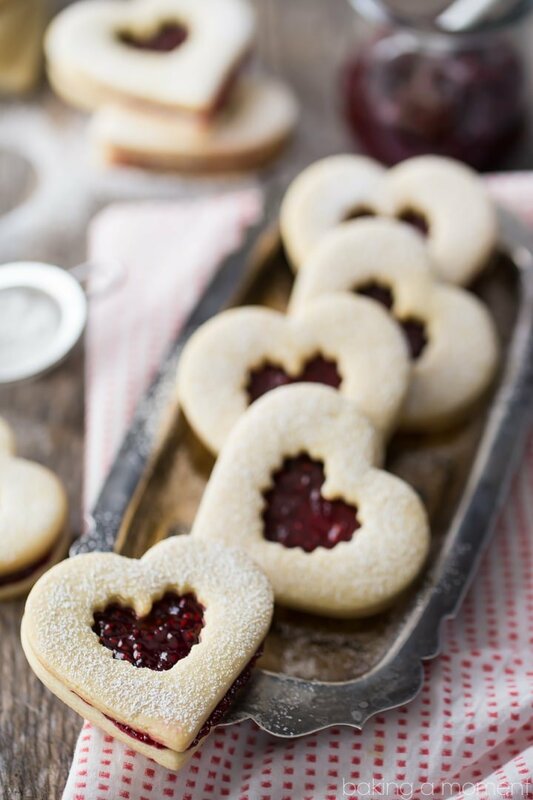 These classic Linzer cookies are fun to make and perfect for gifting. They’re so pretty, and they taste even better than they look. Honestly, when I took my first bite I did a little bit of a double-take. Have you ever done that? I thought I knew what to expect, but these definitely exceeded my hopes! The cookie itself is buttery and tender-crisp. It’s my favorite cut-out cookie recipe, easy to make with just a handful of pantry staples, and the best thing about it is, the shapes do NOT spread in the oven, at all. Not even a little bit. The hearts are just as pretty coming out of the oven as they were going in. Definitely bookmark this recipe, because it’s a winner for sure and you’re going to want it again come Christmastime. But I really think the homemade filling is what makes the whole recipe. I know that homemade jam sounds like a big ordeal but it’s really nothing more than fruit and sugar simmered together until thick. It takes about 10 minutes and it makes all the difference in the world! The raspberries cook down and their flavor intensifies like whoa. Try it! The cookie cutters you see me using there are from this set. And if you’re looking for other Valentine’s Day recipe ideas, be sure to check out this epic roundup I put up the other day! Have a great weekend and a happy Valentine’s day too! Place the frozen raspberries and sugar in a small pot and cook over medium-high heat, stirring, until the fruit has broken down and the mixture is syrupy. Continue to cook until thickened, about 5 minutes. Allow the jam to come to room temperature, then refrigerate. Place the butter and sugar in a large mixing bowl, and cream together on medium-low speed until smooth. Stir in the vanilla, salt, and cornstarch. Roll the dough out between 2 sheets of parchment paper, to a thickness of about 3/8-inch. Use a heart-shaped cookie cutter to cut shapes. Use a smaller, fluted heart cutter to cut windows in half the cookies. Bake for 10-14 minutes, or until the edges are just barely beginning to turn golden. Cool completely. 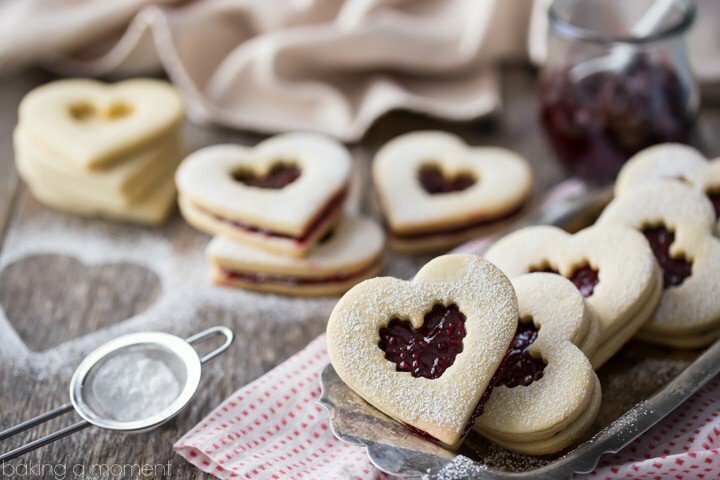 Then spread the jam on the bottom heart, top with a second, open-heart cookie, and dust with powdered sugar. Allie, I LOVE linzer cookies for Valentine’s Day!!! LOVE the video!!! I LOVE your cooktop/oven combo!!! so pretty!!!! (love that music in the video!) Happy Valentine’s Day!! Thank you so much Alice! I love the cooktop/oven too. It’s so much nicer than what I had before and I feel like it elevates the look of my whole kitchen. Thank you so much for the sweet compliments and Happy Valentine’s Day to you as well! You’ve stolen my heart with these Allie! 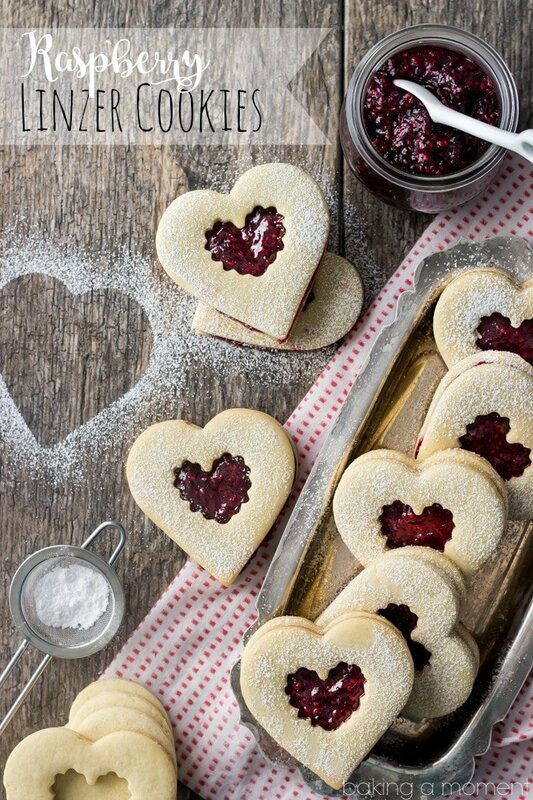 I make linzer hearts every Valentine’s Day! These are just gorgeous! Do you? I just love that you do that Mary Ann! Thank you so much and happy Valentine’s Day to you too! Love these cookies, Allie! Been watching the video numerous times, so beautiful and you make these cookies so easy to make. Happy Love Day to you too! A classic cookie that’s always timeless! Love the video. So true, Naomi! Thank you so much my friend! Linzer cookies are the best- love your photos and the video! I just love the combination of raspberry jam + buttery cookie. Thank you so much Medha! Everything you make is just beautiful! I am going to make these for my family this week to celebrate Valentine’s Day. Thank you, Allie! Thank you so much Crystal! That is such a lovely compliment. I’m so glad you’re going to give this recipe a try! I hope your family enjoys. Have a great weekend and happy baking! these look AMAZING! your photos are just stunning! Aw thank you so much! That is such a sweet compliment! These are beautiful! Another great recipe! Thank you so much Nicole! Hope you are enjoying your weekend so far! Linzer cookies are so classic and SO delicious! These little hearts are so pretty and perfect for Valentine’s Day! Pinned! Allie, these linzer cookies are so darn pretty! I love your video and your kitchen is amazing! Can I move in with you and bake there every day? That’d be a dream come true! Thank you, and yes! Please do! That would be my dream come true too Nancy! Thank you so much hon and I hope you’re staying warm this weekend! These are absolutely stunning, Allie! LOVE that video too! My mom is a linzer cookie addict, can’t wait to show her these! That’s so nice! Thank you so much Christina and congratulations! Hi Adriana! The dough should be quite stiff. I think you will find some useful tips in this post: https://bakingamoment.com/how-to-bake-easy-and-delicious-cutout-cookies-with-neat-edges/. It’s the same cookie recipe, along with a lot more explanation as well as a video tutorial. Let me know if that helps! These look delish. I started the jam but think I may have over cooked it, as it was cooking to room temperature , my spoon is stuck in the jam. Would adding boiled water help? Yes definitely! That’s the solution. 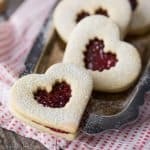 What do you recommend if the jam was over cooked that is not workable to spoon into the cookie ? No worries at all Shan, that’s a pretty easy fix! Just stir in a few drops of hot water until you have the consistency you’re looking for. Thanks for reading! Yes! That should work no problem Tracey! The jam should be cooked until thickened. Hope that’s helpful! The perfect cookie for Valentine’s Day! These are perfect for Valentine’s Day! I’ve only eaten, but never actually made Linzer cookies. That needs to change! Hello Allie!!! I have a question, do you have to cool de dough in the fridge? Hey Corin! No you do not. It’s actually better if you don’t. This dough will become dry as it sits, so it’s best if you roll, cut, and bake right away. Good luck and enjoy! Do not use this recipe. The cookies were hard as a rock, be prepared to go to dentist if you eat one. They should not be hard. I bake them often and they bake up with a tender, shortbread-like texture. Not crunchy, but not soft either. They are buttery and melt-in-your mouth. I made these yesterday and they came out great! Perfect shapes, no spreading. As indicated in the recipe, roll out the dough between 2 sheets of parchment. Chill in freezer for a few minutes. Cut out cookie shapes quickly. If dough gets too soft to work with put it back in the freezer and the cut cookies will peel off the parchment easily. I used Smuckers Natural Squeezable Strawberry Jam to save a little time. Time consuming but these cookies are so pretty. I wanted to a picture of my beautiful cookies, but don’t see a way to do it. So glad they worked well for you Lisa! Thanks so much for the tip about freezing. 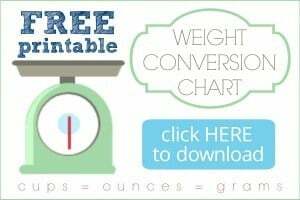 Very useful! I just made a batch for Valentine’s Day and they were absolutely yummy! I wish I could post a picture. I was so proud of the homemade jam. Thanks for the extra prodding on making the jam, it was definitely worth it as the raspberry flavor was much more intense. I did omit the cornstarch and replaced with almond flour in equal measure, hoping for a bit softer texture as that is my personal taste preference. I’m not a expert baker, so honestly not sure what difference that little bit made, but the baked cookies were a soft texture, and could have been regardless of almond flour. The dough rolled just a tad bit sticky, but keeping it between the two layers of parchment helped that issue. I also added a tsp of almond extract and two tsp vanilla. I love raspberry and almond flavor combination. This is a two thumbs up/five stars great recipe, as my family and co-workers ravings will attest! Thanks so much for sharing. So happy you were pleased Susan! I love that you added almond. That is a favorite flavor combination for me as well!